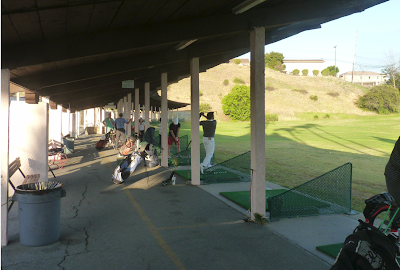 The Monterey Park driving range is located off the 10 freeway, where the 10 meets the 710. 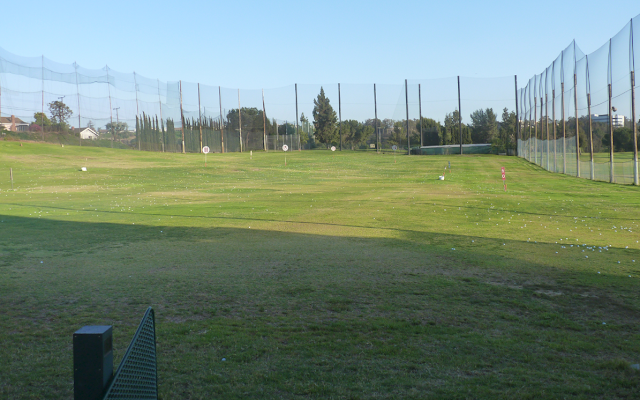 The range is adjacent to the 9 hole executive golf course. There is adequate parking, however note on Friday and Saturday evenings parking can be tough as it is next to the Luminaris restaurant. The range is of good size about 250 yards to the back fence and pretty wide. There are yardage markers spread throughout. There are 37 stalls and whenever I have been there has been at least half vacant and available to use. You hit off mats and the mats seem to be in good shape. Note that no plastic tees are provided. You have to buy one or bring your own. The facility itself is overall in very good condition. There is one swing analyzing machine where you can pay and record your swing. Similar to what is at the Harding driving range at Griffith Park. The rates here are very reasonable and the balls are decent quality. They seem to collect the balls from the hitting area regularly also. 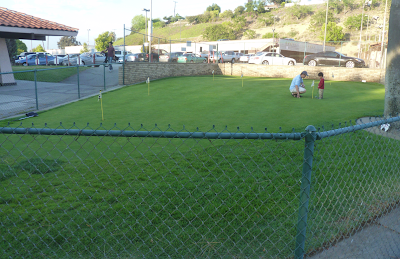 In addition to the driving range there is a small putting green. 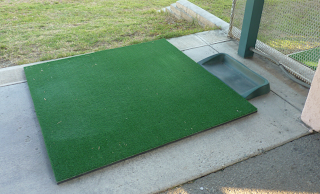 There is no chipping area however. From my travels this range seems to be one of the better in the Los Angeles area. NOTE: As published earlier this week in the Pasadena Star News, the course has new ownership. They are renovating the practice facility areas and club shop later this year. I will return and do a new review once the renovations are complete.